Тема выпусков сравнение самых знаменитых представителей военной техники, авиации и флота. Duel is an innovative series from Osprey that conveys a complete picture of machine-on-machine action from design and development through to combat, with a thorough analysis of all the human, tactical and technical elements which ultimately decided who triumphed in clashes of men and their war machines. First-hand accounts of individual engagements place the reader in the midst of the action, whether dogfight, tank battle or submarine hunt. An array of technical drawings, photographs and full-color digital illustrations, including "gun sight views," depict the key aspects of these machines in wartime. 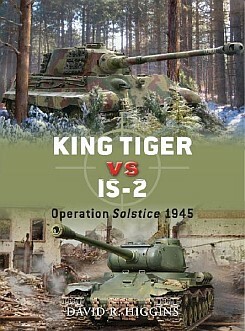 Ideal for modelers, wargamers and military history enthusiasts of all ages.